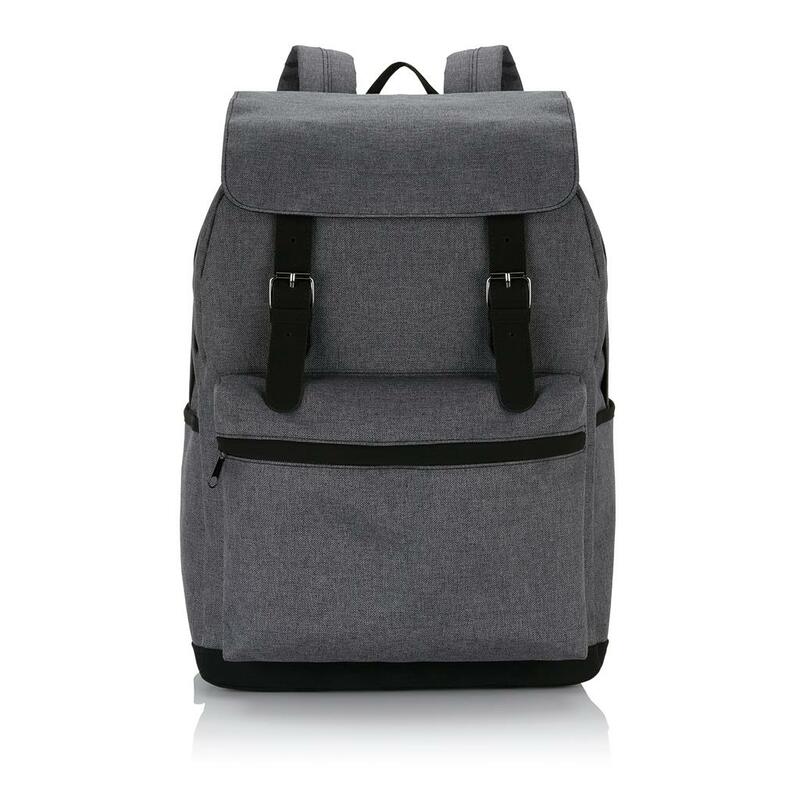 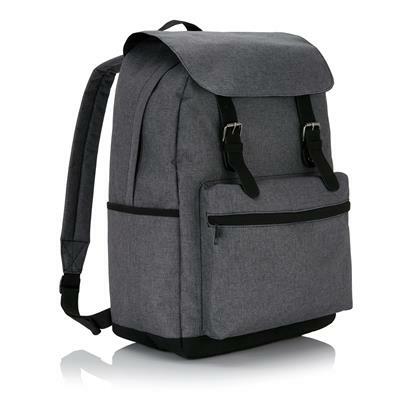 This 600D two tone polyester laptop backpack offers a classic look that’s perfect for the daily commute to school or work. 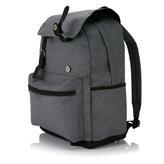 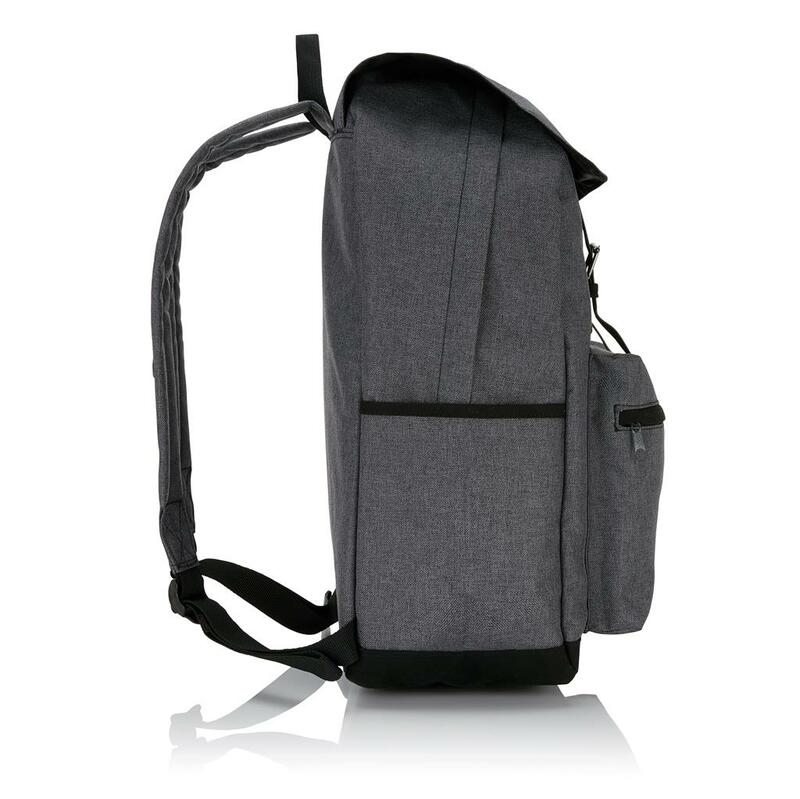 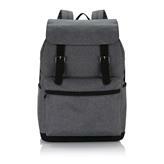 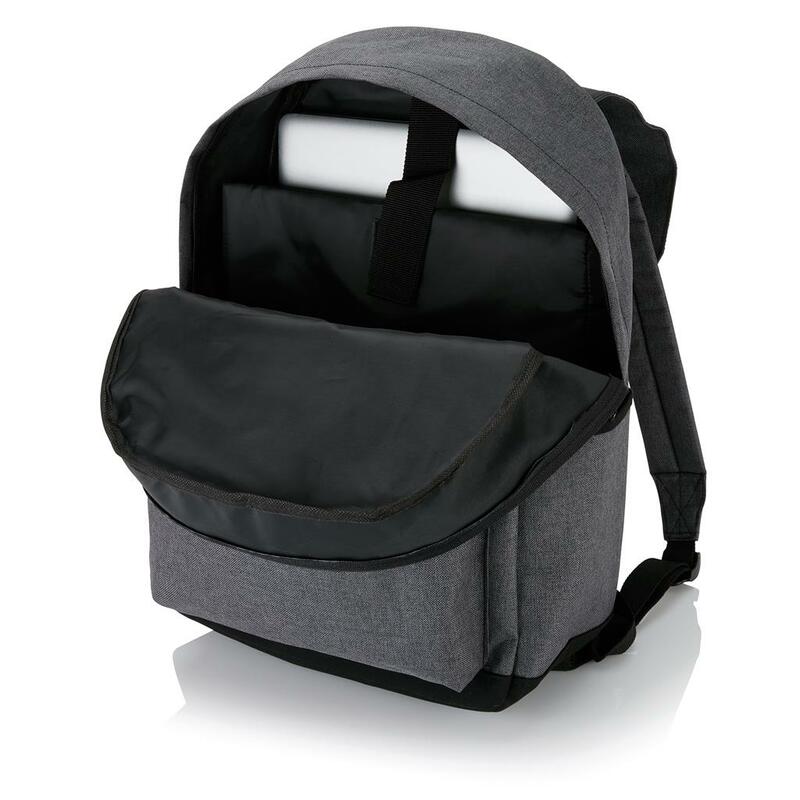 Comes with large main compartment including a padded pocket for your 15.6” laptop. 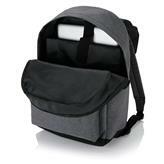 A zippered front pocket offers added storage for your earbuds and smartphone, camera, snacks, or other small items. PVC free.